How spectacular is your Gallery? 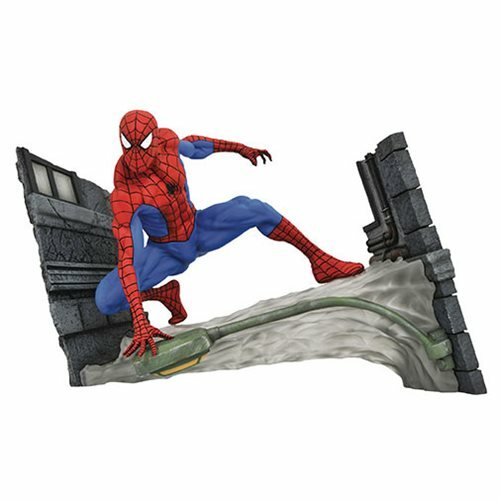 Spider-Man returns to the Marvel Gallery PVC statue line as he is crouched on a web slung across an alleyway, Spider-Man lives up to his namesake in this PVC statue portraying the hero in his element. The Marvel Gallery Spider-Man Comic Statue measures approximately 11-inches wide x 7-inches tall Tthis detailed sculpt by Alterton is based on a design by Caesar, and comes packaged in a full-color window box.